By Melissa Lennig on December 27, 2014 10 Comments. This content contains affiliate links. As an Amazon Associate I earn from qualifying purchases. One of my favorite gifts to give to friends and neighbors is Homemade Hot Chocolate Mix. It’s cozy, thoughtful, and incredibly easy to prepare. 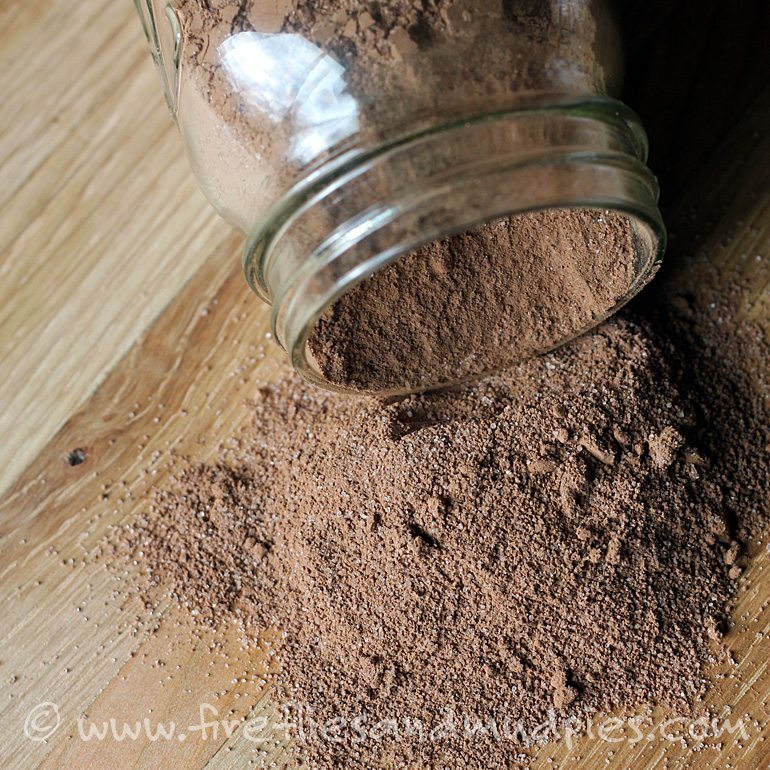 Shared below is my family’s beloved hot chocolate mix recipe. It tastes smooth and delicious and only requires 3 ingredients. Once you try it, you will never go back to instant cocoa packets! I have good memories of hot chocolate! Once in high school, my brother and I walked through a blizzard to the school bus stop. Back then, there were no cell phones and neither of us owned a watch. I’m not sure how long we waited, but finally, the woman who lived in the house where the bus stop was came out to tell us that school was cancelled. (And we thought the bus was just late. Doh!) We trudged through the storm back to our home. Thirty-minutes later, wrapped in blankets snug by the wood stove, we sipped hot chocolate. Never buy store-bought again! 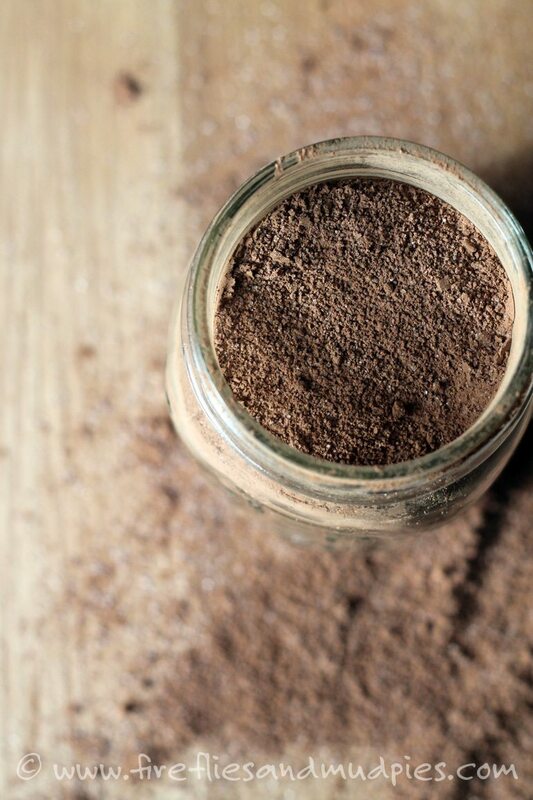 Keep this homemade hot chocolate mix in your cupboard for cold days and make a jar to share with a friend. Mix all of the ingredients together in a [url href=”http://www.amazon.com/gp/product/B00B80TJWQ?ie=UTF8&camp=1789&creativeASIN=B00B80TJWQ&linkCode=xm2&tag=firandmudpie-20″ target=”_blank”]jar[/url]. Use 1-2 tbsp of hot chocolate mix/mug of hot milk. I think the salt is what makes this recipe so delicious! Occasionally I experiment with different types of cocoa, but usually I just buy whatever is cheapest! 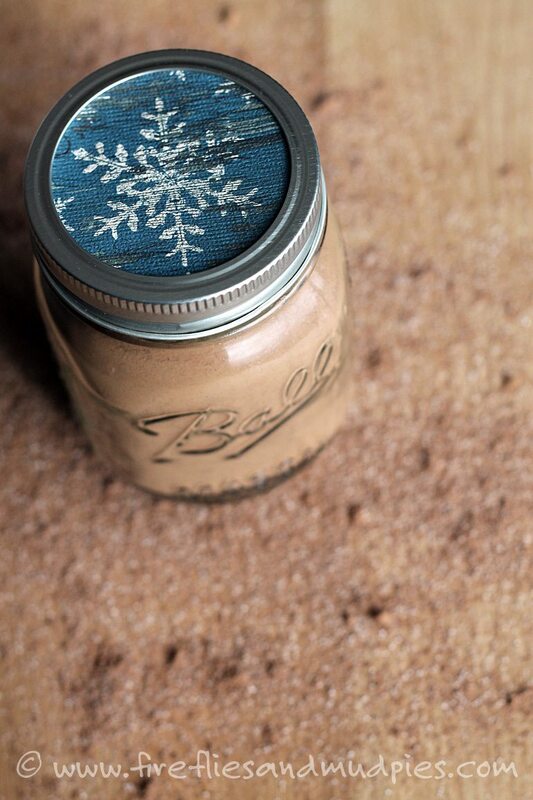 To dress up your mason jars, simply trace a circle with the canning ring on decorative scrapbook paper. Attach a gift tag with heating instructions and you’re good to go! For more simple recipes, follow along with Fireflies and Mud Pies on Pinterest, Facebook, and Twitter.